I also Loved Last Night at the Lobster. Absolutely Loved it!!! I loved “Lobster” and was really disappointed when it ended. I read it on my Kindle and wasn’t prepared for it to be finished so soon. I agree that it would make a great little film. I was pleased that the author used a real restaurant as the setting. One small quibble, I would have liked to have read a few actual descriptions of food preparation. The dishes just seemed to appear at the end of the line. I am a film student at UCLA and I have been trying relentlessly to find contact information for Mr. O’Nan. His ostensibly small but enormously powerful narrative touched me in such a profound and inexpressible way that I need to convey its affect on me to him. It would also make a wonderful piece of cinema and my dream is to be the one to usher it onto screen. Hopefully. Mr. O’Nan, if you’re out there, please know that I respect your vision immensely and would be honored to translate its quiet poignance and muted beauty of humanity onto screen. I read The Speed Queen when I was 17 (the year it came out) after stealing it from a friend (who has never had it returned to him). One of those damn books that has forever been stuck in my head, I have a compulsion to re-read it every few years. Just thought you should know. As a fellow survivor of BU ENG ’83, I’ve been an avid follower since I stumbled upon A Prayer for the Dying quite some time ago. It’s certainly been a while since Herb and Skippy graced the engineering classrooms! All the best for future success. I loved the two novels’Wish You Were Here” and “Emily Alone”. I have read these novels several times. Mr. O’Nan has a wonderful style of writing fiction. I love the way he described a beaded trail of water was left on the table-from Wish You Were Here. His descriptions of every day things seem so real. I hope that he will come out with another novel of the Maxwell family. Ella is my favorite among Emily’s grandchildren as I see myself in Ella. I also loved Justin Carlisle. 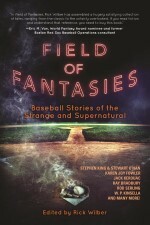 Please let me know if you will be writing any more fiction on the Maxwell family. Mr. O’Nan, thank you for taking the time and care to write “Emily, Alone.” The book made me want to be a better daughter and granddaughter, and overall a better person. I too loved ‘Lobster’ and since my family was in the process of closing a small family restaurant while I was reading it, it was especially meaningful for me. I am now reading ‘Emily’ and feel as though I inhabit the page. Mr. O’Nan, your style is so precise, it enriches my life, thank you! Having read many of your other novels and having liked them all, I still wasnt prepared for the tenderness and intimacy that is “Emily Alone”. She inhabits me. As another postee said, ..”makes you want to be …a better person.” Agree. This is my favorite of all your books, and now I am reading “WIsh You Were Here”. Thank you. Thank you for writing and sharing with all of us your gift for making everyday life seem holy. 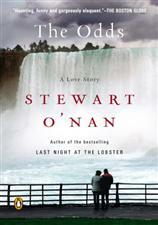 I have read a few books of Mr. O’nan and enjoyed them very much. However Snow Angels, will leave you totally depressed and questioning life in general. I just finished West of Sunset and enjoyed it very much. I worked at the same daily newspaper in Northern Virginia with Scottie late in the 50s. Considering her upbringing, it’s surprising, I think, that she seemed to be a very centered, normal person. BTW …. several times in you book your character would say “….. I feel badly…..” Really? I don’t think that’s what you meant. Feeling badly means your fingers don’t function properly! Strangely, I found the works of Mr. O’Nan by accident…lucky me!! Last Night at the Lobster was on the bookstores monthly sale list and I took a chance. What a find!! It was a poignant tale and it made me feel bad for those folks as they moved on to another chapter of their lives. I then bought Songs for the Missing. Again, Mr. O’Nan writes with such power that you actually forget that it is fiction. I was almost tempted to search the newspapers to make sure that this story wasn’t real!! 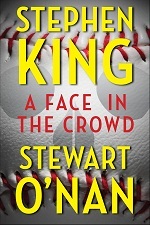 I am now a huge Stewart O’Nan fan and am looking forward to my next fictional novel purchase. Keep them coming!!! I am still waiting and hoping that Mr. O’Nan will write a third book on the Maxwell family. “Wish You were Here” and “Emily Alone” were the best books of fiction that I have ever read. He has an unusual gift of describing everyday events seem so real. This particular type of talent seems to be rare in fiction. Mr. O’Nan please come out with more fiction on the Maxwell family.